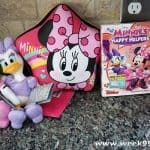 It’s time to rock out with Minnie Mouse in an all new collection from Disney Junior. Your favorite little girl can glam up, and sing along with some great tunes. 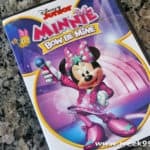 Disney sent us a copy of their all new Pop Star Minnie DVD from Mickey Mouse Clubhouse as well as some great accessories to play along with. 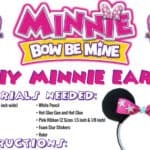 Minnie has always dreamed of being a singer – and now her dream is about to come true! Along with her Mickey Mouse Clubhouse friends she’s about to have her dream come true. The Clubhouse gang has to track down their instruments and get ready for their big performance. The DVD includes several different types of music like disco, country and blues and is a fun way to introduce your kids to different types of music. 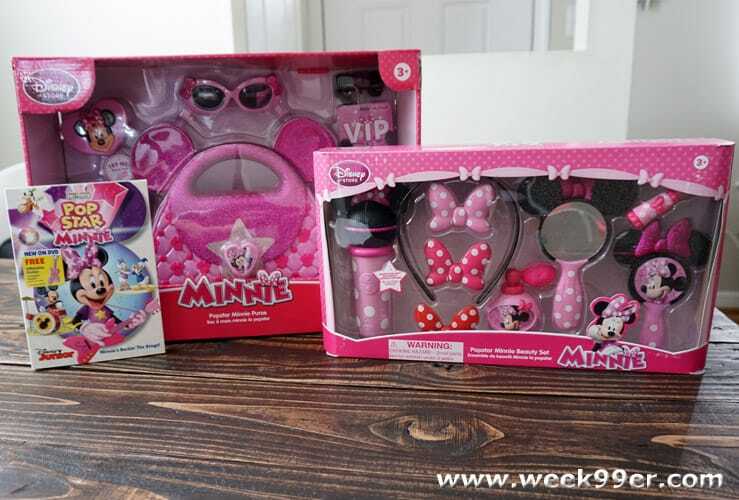 And with the Pop Star Minnie Beauty set and Pop Star Minnie purse set, your little mouse can dress up with her own set of ears, her own microphone and glasses so she can be the star of her own adventure and songs! 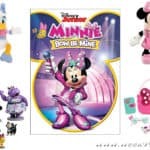 Mickey Mouse Clubhouse Pop Star Minnie comes with a free inflatable guitar so you can rock out like your favorite mouse, and is rated TV-Y. It has a total run time of 102 minutes, and is available on Amazon and in stores near you.